When it comes to cooking, we'll be the first to admit that we are no Gordon Ramsay, and we are down to take shortcuts whenever we can. Maybe we buy shredded cheese, shop for prepped veggies, or trade peeling and crushing our own garlic for jars already minced. 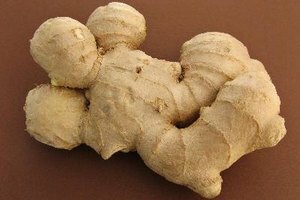 So, a recipe calling for fresh ginger might cause some panic, causing us to reach for the ground ginger instead. However, if we do that, we are only doing a disservice to ourselves, as we are missing out on key flavors and textures that just can’t be beat. Whether you're making a zesty dish, adding some kick to your morning green juice, or mixing fresh ginger in your cup of tea, here are some tips for crushing fresh ginger root. Consider this guide your very own cooking segment—and the best part is, we won't yell at you like Gordon does. First up, you have to know what to look (and feel for) for when choosing the best knob of ginger. Since they come in a variety of shapes and sizes, it can be a tricky task. But fear not! We've discovered these awesome tips. 1. Get handsy with it. Get ready to really touch and feel the ginger. According to The Kitchn, use all your senses. Use your eyes to see if the skin is thin and shiny (you want to avoid thick skin). You can use your nail to peel the skin and check for any soft spots which are an indication that it's starting to go bad. "Wrinkly skin would indicate it's been sitting there, dehydrating for a while," says Robert Schuller, spokesman for Melissa's Produce, a Los Angeles-based specialty produce distributor. You may spend a lot of time looking for the perfect small piece, but if you want to save time, just break off what you need. 2. Store it properly. You're ready to take your new buddy home. But you don't just want to leave it sitting on the counter all week. Oh, no. You will get a longer lifespan out of it if you store it in the fridge in an airtight bag or container. Lastly, peel it only before using to keep it fresh longer. Use a spoon to peel the ginger. You may be saying "huh?" but if you've ever tried to peel ginger with a regular vegetable peeler, you'll know what we mean when we say that it's a huge pain. Instead, try a spoon. Why is that? "The curved edge of a spoon is the perfect tool to get the skin off in the areas with tight crevices," Sommer Collier, creator of the food blog A Spicy Perspective, explains. "You can dig in the nooks and crannies with the tip of the spoon to lift the skin with no fear of slipping and cutting yourself." 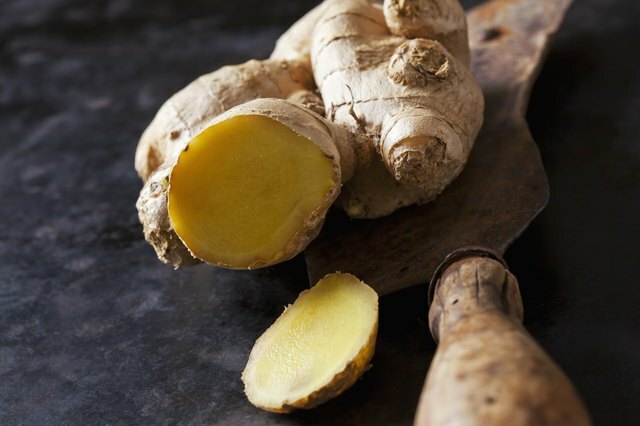 Use these different ways to crush ginger. Crushing ginger takes a lot of trial-and-error. 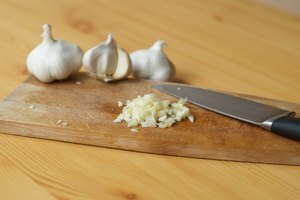 You may have tried to crush it using your garlic press and found that the results were underwhelming. 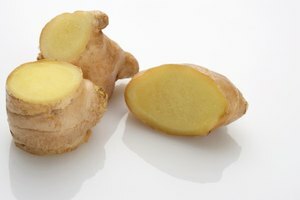 You can still go that route if you simply want ginger juice and not much else, or you can use a knife to prepare ginger in a few different ways. For example, use a knife to chop the ginger into different sized pieces and strips or prepare it minced using a large, flat-bladed knife to crush the small pieces of ginger, using your hand as added weight. 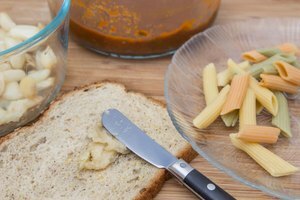 If your recipe calls for grated ginger, you can also prepare that by using a cheese grater to grate the ginger. Just be sure not to nip your fingers, as you will be moving close to the blades.